Book Review - The Palace Job by Patrick Weekes - Honk if you love justice! The Palace Job by Patrick Weekes (writer for Bioware on both the Dragon Age and Mass Effect franchises) is a somewhat shallow but action-packed novel set in a magical fantasy world. Loch and Kail are former Scouts for the Republic who are planning to steal a priceless Elven manuscript back from the man who framed them…which would be easier if they weren’t in the jail that hangs from the bottom of a floating city. Thankfully that’s only a minor problem for Loch, and she quickly escapes and starts to gather your usual motley team to steal the thing. 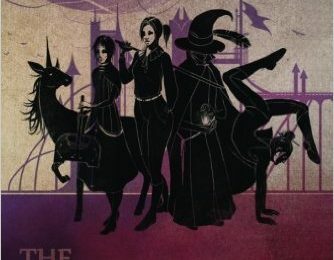 The plot tumbles forward headlong from there, introducing the various players, including a unicorn, a Death priestess, an intelligent warhammer, a shifty illusionist, a farmboy, a martial artist from the enemy Empire, and more. There’s a lot of characters and Weekes isn’t too interested in going deep with all of them, but the book is genuinely funny and deals with some of the typical fantasy tropes in a unique way, so I’m good with it. The Ocean’s Eleven comparison you see a lot are apt – you’re just expected to roll with the characters after their little introductions. If that’s something that would bother you, just be aware. The Palace Job is a fun adventure starring an eclectic cast of characters. It’s not more than that, but it *is* entertaining. You can read it for free via Prime Reading if you are an Amazon Prime member, or it’s $3.99 to buy.